The popular long poems and folkloric short stories by Hovhannes Tumanian turned him into a beloved author of Armenian literature for the past hundred years. He was born on February 19, 1869, in the village of Dsegh (province of Lori). His father, Der Tadeos, was the village priest and an offspring of a branch from the princely house of the Mamikonian. The future poet first attended the parochial school of the village (1877-1879) and then a school in Jalaloghli (nowadays Stepanavan) from 1879-1883. It was there he wrote his first poem at the age of 12. In 1883 Tumanian moved to Tiflis, where he attended the Nersesian School for the next four years. He dropped out in 1887 and married the next year to Olga Machkalian, with whom he would have ten children. He completed his studies by self-education, and his more than three hundred articles showed him to be a well-versed literary critic and historian, who gave interesting ideas on literature, art, language, and culture, both Armenian and universal. Tumanian’s two-volume collection Poems (1890 and 1892), earned him broad recognition. He depicted the village life, filled with contradictions, and based his work on popular traditions. Those volumes already included poems like “Maro,” “Sako of Lori,” and the famous tragedy “Anush,” which would later become the subject for Armen Tigranian’s homonymous opera (1912). His simple and natural style turned dozens of phrases and expressions from Tumanian’s work into part of Armenian everyday language. He later published other poems, like “A Drop of Honey,” “Akhtamar,” “The Capture of Tmkaberd,” and especially a version of the Armenian epic “David of Sassoun,” which made him universally known till this day. In 1899 Tumanian organized meetings of Armenian intellectuals at his house in Tiflis. The meetings soon turned into an influential literary group, which took the name of Vernatun (Վերնատուն “garret”), because its meeting place was the garret of Tumanian’s house. The other founding members of the collective were Ghazaros Aghayan (1840-1911), Levon Shant (1869-1951), Avetik Isahakian (1875-1957), and Derenik Demirjian (1877-1957), with other significant intellectuals like Nikol Aghbalian, Alexander Shirvanzade, Nar-Dos, and others among its members. The Vernatun group existed, with some intervals, until 1908. 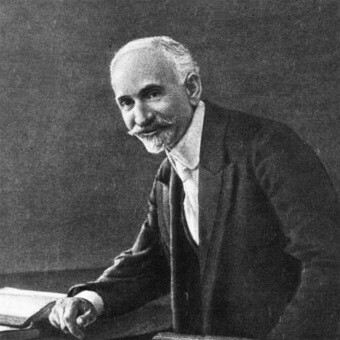 During the Armeno-Tatar clashes triggered by the Russian government in 1905-1907, Tumanian moved back to Dsegh and participated in the organization of Armenian self-defense, but also made efforts to intervene as a peacemaker. He was a member of the Armenian Revolutionary Federation, and his political activities made him the target of the secret police. He was arrested twice (1908-1909 and 1911-1912), but could show his innocence. Afterwards, he left political life. Tumanian remained in Tiflis during the first independence. He traveled to Yerevan in March 1921 to intercede and put an end to the civil war that had started after the uprising of February against the Soviet government. He later founded the House of Armenian Art in Tiflis, and became the president of the Committee of Assistance for Armenia (1921-1922). In the fall of 1921, Tumanian went to Constantinople to gather support for Armenian refugees. After months spent there, he returned ill. He underwent surgery in 1922 and his health improved. However, his disease started to progress again in September. He was transferred to a hospital in Moscow, where he passed away on March 23, 1923, at the age of 54. Tumanian’s works inspired two celebrated operas, “Anush” (1912) by Armen Tigranian and “Almast” (1930) by Alexander Spendiarian, as well as no less than fifteen animated films and cartoons. After his death, many places took his name. His native village, Dsegh, was renamed Tumanian from 1938-1969, and another village in Lori, Dzagidzor, took the name Tumanian in 1951. The Armenian State Puppet Theater in Yerevan and the Pedagogical University of Vanadzor have been named after him, as well as a street in central Yerevan and a park in the Yerevan district of Ajapniak. There also are squares and streets bearing his name in Moscow, Kiev, and other cities in Russia and Ukraine. Two museums are dedicated to the writer in Dsegh and Yerevan.